Do you receive text messages from your friends saying that they just did something positive that will change their careers for the remainder of their lives? Are you still applying for entry-level jobs whereas you’d already accumulated years working for different companies? 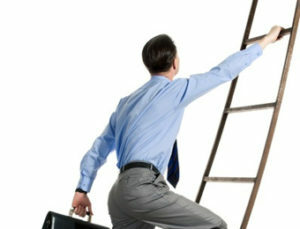 Have you realized that you are not making any progress in your career at all? Risk-takers are today’s most celebrated success stories in the field of modern employment. Employees willing to push their careers into greater heights strategically risked something just to climb the corporate ladder to succeed. Many of today’s applicants fail to start their careers by writing the wrong resume. Hiring managers only spend at least 10 seconds of their time reading resumes. Once they manage to detect weak adjectives such as responsible, multi-faceted, or team player, they immediately place the application on the company’s garbage bin. Climbing the corporate ladder is a step-by-step journey wherein workers should incorporate the virtue of patience in every little thing they do inside the office. Rushed and forced resignations from young, entry-level applicants hurt their chances of leading a company either as its top performer or leader who creates high-impact decisions. Upon leaving the office does not mean that your shift is over. Visionaries continue to hone their craft by either completing unfinished tasks at home. Moreover, many of today’s successful employees continuously study and improve in areas that will negatively affect their performance inside the office. Employees who think that their managers or bosses are abusing them make the big decision of standing up for their rights. Many are fired for being too expressive. But those who have stood up to voice out their rights are given extraordinary opportunities lying outside their comfort zones. Employees who soak themselves working non-stop are prone to job burnout. Burnout occurs when an employee feels too stressed or fatigued to continue with a specific responsibility. Burnout leads to frustration and frustration leads to failure. A complete indicator for success is how your life will become once you retire. Do you have the financial stability to live independently upon reaching your 60s? Are you ready to throw away all what you’ve learned in exchange for leisure? Becoming a manager or top-level executive does not guarantee success.